Should I get one or two german shepard puppies? I have a very large yard and several kids who are ready for dogs. 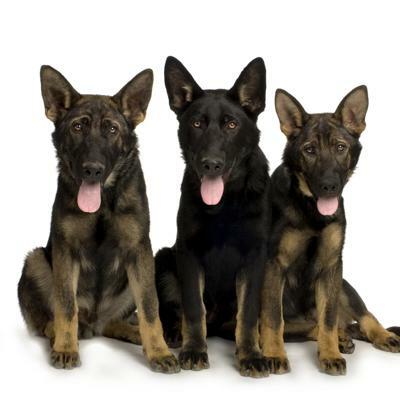 The dogs will go to training classes as I believe the best dog you can have is a trained one. Will there also be a problem if the dogs are of the same gender or should I get a male and female? I would suggest you get one puppy now, then add another in about 18 months. If you have never had a gsd before you should know they are quite the handful when young, and don't mature until 2-3 years old. They will test your leadership every chance they get. They need a firm, but gentle leader who does not yell or punish (alpha rolls, leash jerks, etc.). If you have one older dog he/she helps immensely with a new pup. Plus you will have experience from going to obedience school with the first one. I prefer males, but that is just my opinion. Two males, or a male and female will get along fine. You might have issues with 2 females as they get older. Whatever you choose, please have both dogs neutered.